Shannon mapping a field with the EM38. 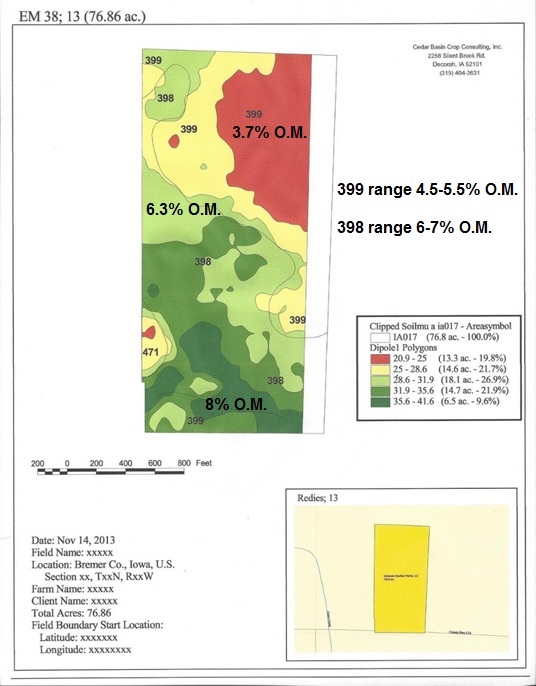 Using EC mapping for precision soil sampling and input determination. Cedar Basin uses the EM38 to map your soils. An EM38 electrical conductivity map showing a field's organic matter levels.